KAK’s concern for the safety of women and children in Aboriginal communities should be taken at face value. A sweeping generalisation which unhelpfully demonises Aboriginal men—yes. But these are issues that need to be addressed in Aboriginal communities, just as they need to be called out and addressed in non-Aboriginal Australia. 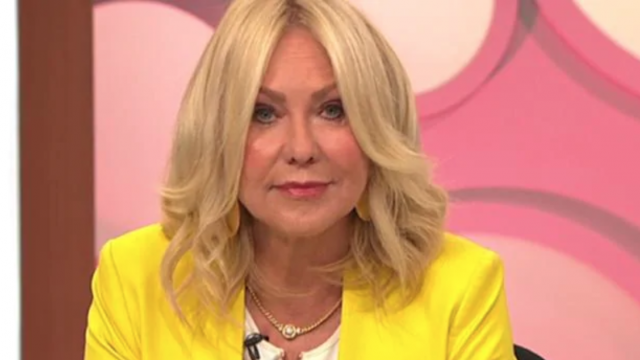 From these sweeping generalisations on Channel 10 morning television, this week the debate has spiralled out of control across national news and social media. I was accused of being racist and privileged by Jacinta Price, another Aboriginal woman on the program. I am neither. I grew up in public housing, left school at 14, struggled as a single mother confronting my own personal experiences with family violence and send my kids to public school. My first experience of racism was in grade two. On morning television, I told KAK she needs to let go of her “white privilege”. KAK was offended but it wasn’t an attack. It’s about KAK understanding she has the privilege of being able to turn on the TV and see almost everyone is white; of going into a workplace and not being labelled the coloured person in the room; it’s about giving birth in hospital without being allocated an Aboriginal liaison officer; about walking into a shop and not being asked where your money came from; applying for a rental property without hiding that you’re Aboriginal. In KAK’s world, everything in your environment is legitimising rather than undermining your entitlement to be there. Successive Australian governments have poured billions into addressing Aboriginal disadvantage. Some programs work, some don’t. They are programs for which there is little or no Aboriginal ownership, input or decision-making influence. They are hit and miss, and fail to deliver lasting change because they don’t address the fundamental issues at the root of Aboriginal disadvantage—the impact 230 years of colonisation has had on the dismantling Aboriginal culture, language, law and society. The treaty process is as much about non-Aboriginal Australia asking itself what it would want to see in a treaty, as it is First Nation’s peoples knowing that what has happened in the country is believed and understood. It’s not that we don’t need programs that address the problems we face right now. But lasting change needs to rectify the trauma Aboriginal Australia has been through. To do anything else is treating the symptoms, not the cause. Addressing the causes starts with non-Aboriginal Australia learning about, and then facing the frontier wars and massacres which swept across the continent following European invasion. It’s about telling the truth about what happened in this country. From recognising there was a war we can start to negotiate a treaty between Aboriginal and non-Aboriginal Australia, the only Commonwealth country that hasn’t done so. Once this fundamental task has been undertaken, we have the proper foundation to have the debate about constitutional recognition, changing the date of Invasion/Australia Day, and then what the most effective programs are to address the Aboriginal disadvantage that KAK talks about. Until then, biased and ignorant comments, even if from a place of genuine concern, are deeply prejudiced as Yumi Stynes courageously pointed out. It’s not that KAK is wrong, it’s that she talks as if the last 230 years can be erased and we can all move on. No one wants to move on more than Aboriginal Australia. But we can’t unless Aboriginal sovereignty is recognised as a first step, followed by a treaty between Aboriginal and non-Aboriginal Australia. Then, and only then can we have any chance of then addressing the current issues that KAK says she is concerned out. For Australia, a nation still struggling to grasp its national identity, there are no shortcuts. Lidia Thorpe is a Gunnai-Kurnai and Gunditjmara woman. She is the former Greens MP for Northcote, and the former chair of NAIDOC Victoria.